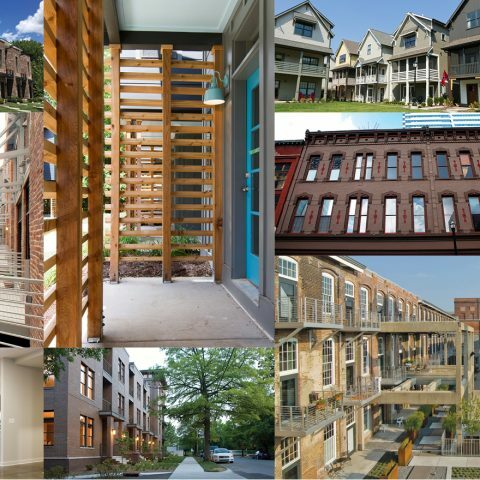 Based in Nashville, Tennessee, Core DevelopmentSM is an award-winning real estate development services team focused on environmental stewardship and community revitalization. Alloy is a mixed-use project in South Nashville that combines modern residential living with upscale amenities, onsite businesses, and live-work spaces. Alloy’s innovative use of modular construction not only cuts back on waste but also cuts completion time in half. With more than 20 successful projects under its belt, Core DevelopmentSM has been in a leader in revitalizing some of Nashville’s most transitional areas. Founded in 2004 by visionary Mark Deutschmann, Core Development’s team has decades of experience in the real estate development industry. In addition, Core Development’s leaders have built strong relationships and developed valuable partnerships over the years that have served our projects well. Core DevelopmentSM envisions successful and livable communities and work together achieve that common goal every day. Get the latest news about Core’s projects and community endeavors here. Under the leadership of Founder and CEO, Mark Deutschmann, Core DevelopmentSM is committed to giving back to Nashville’s vibrant community through partnerships with organizations like ULI and through investments back into the community through the Village Fund.